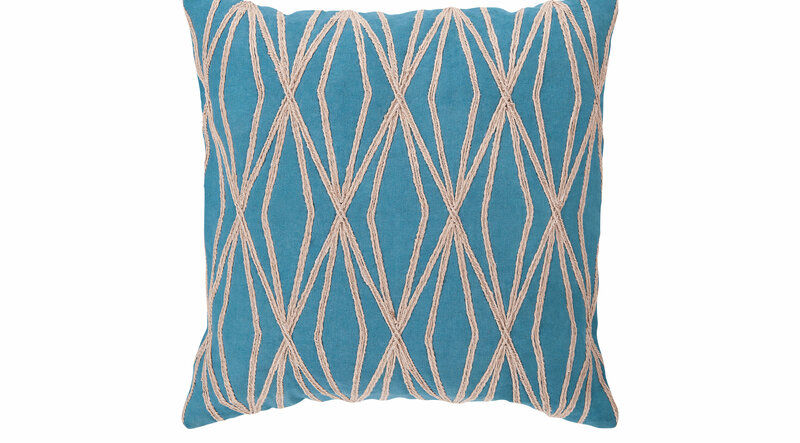 The Darling Diamond accent pillow has a vibrant geometric design that is bound to make a style statement in any room. The tantalizing sky blue backdrop allows the simple tan origami-inspired shapes to pop. One 18 inch square accent pillow.